Lanes Group plc today announced that it has acquired the Arlo Group, the owners of AQS Environmental Solutions, one of the largest providers of drainage, industrial and waste management services in Ireland. The deal has been unanimously agreed by the Boards of Directors of both companies for an undisclosed sum, and is the second major acquisition by Lanes Group in the last two months. On November 5, UKDN Waterflow (LG) Ltd, a wholly-owned subsidiary of Lanes Group, also acquired the business and certain assets of UKDN Waterflow Limited (in Administration) and UKDN Waterflow Technical Services Limited (in Administration). Arlo Group, based in Tipperary, comprises AQS Environmental Solutions and Acorn Recycling, a sludge-to-compost recycling company. 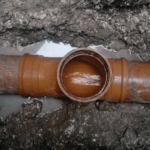 AQS Environmental Solutions provides a wide range of specialist drainage services to local authorities, private industry and residential customers across Ireland. The acquisitions confirm Lanes Group’s position as the UK and Ireland’s leading specialist drainage and maintenance solutions provider. It creates a group of companies with 1,703 staff, 27 operating centres and five utility hubs. Lanes Group has unrivalled expertise and experience across all key commercial and industrial sectors, including water utilities, transportation, energy, local government, construction, insurance and domestic. Richard Leigh, Business Development Director of Lanes Group, said: “Both acquisitions deliver new business opportunities that are an excellent strategic fit, both with our current services, and our plans for growth. “AQS Environmental Solutions has sound finances, a strong brand, and a good reputation with customers in Ireland. Acquiring the company helps us achieve a strategic ambition to extend our geographical reach, where it is financially and operationally prudent to do so. “UKDN Waterflow (LG) Ltd has a depot network which geographically broadly complements the depots we already had, and helps us to deepen our presence and capabilities in key sectors, notably highways and rail. “It has also given us the opportunity to re-enter the insurance drainage maintenance and repair market, where UKDN Waterflow (LG) Ltd has a strong presence. “We are excited by the opportunity these acquisitions give us to combine our expertise and experience to provide all our customers across the UK and Ireland with even better drainage and maintenance services and greater value. The established management team at AQS Environmental Solutions will remain in place. The company has 60 employees, and has a particularly strong presence in wastewater tankering, as well as waste management. UKDN Waterflow (LG) Ltd has 254, who have joined Lanes Group plc under TUPE regulations. Richard Leigh, Lanes Group Business Development Director. Richard Leigh said key priorities, in establishing UKDN Waterflow (LG) Ltd, have been to meet customers and staff across the UK and give clear assurances about Lanes Group’s commitment to the business, and plans for its development. He added: “I am pleased to report that the feedback from customers has been very positive, with customers novating agreement and contracts that will allow us to build the business in 2016. “They are impressed with our commitment to the service they receive, and our plans to improve it still further, with particular attention to business-critical factors, including health and safety, customer service, plus operational efficiency and effectiveness. “They also know that, with Lanes Group’s financial and operational stability behind UKDN Waterflow (LG) Ltd, they can be confident that business and service continuity is assured. “We have been impressed with the commitment of staff at UKDN Waterflow (LG) Ltd to the business, and their desire to make it a success. They have skills and know-how that will add value across all Lanes Group operations.